But do answer the door to the postman this February 14, because they’re delivering free chocolate directly to your face, so it doesn’t matter if you’re loved up or on your lonesome, chocolate has been scientifically proven to be a more than adequate substitute for whatever you’re lacking in your life. And if you’re not lacking anything in your life, just treat yourself to some free chocolate anyway. You deserve it. January was rubbish and February’s not much better, but soon you’ll have some free chocolate, so chin up. 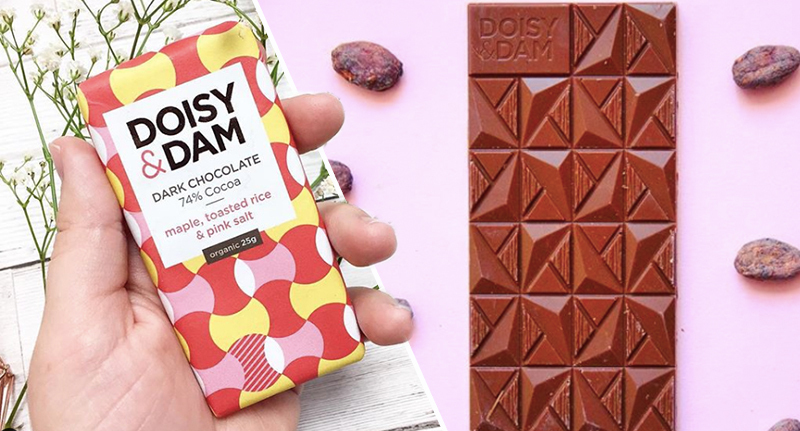 The sweet treat comes courtesy of Airtasker, who have teamed up with ethical chocolatiers Doisy & Dam to deliver chocolate directly to the doors of residents of Manchester and London. We can’t wait to make Valentine’s Day that little bit more special for people this year. After all, what says ‘I love you’ better than some delicious chocolate? We’re so excited to have teamed up with Airtasker to deliver a mixed bundle of our range… straight to your door! When developing our chocolate, we always aim to create products and flavours that will excite and engage… and this is no different. We thought, why not extend this ethos and give our lovely customers a treat – from us to you – this Valentine’s Day? We hope the awesome people of Manchester and London enjoy them. Furthermore, if you do score some free chocolate, the lovely people at Airtasker and Doisy & Dam are also offering you the chance to win a year’s supply of the stuff! Just post your Valentine’s Day delivery on social media, tag it #AirLove, and you might not have to buy chocolate again for a year. Now that really would be worth stockpiling.